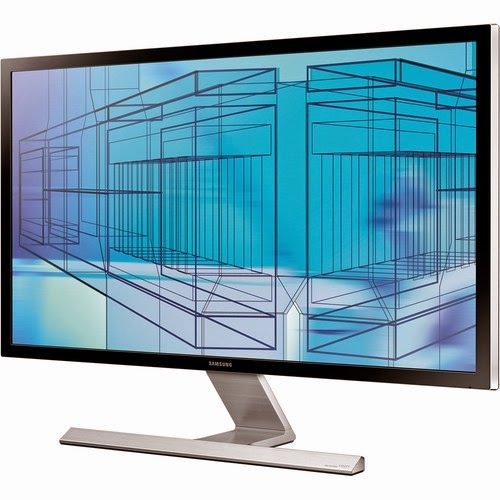 Jeff Cable's Blog: Review of the new Samsung U28D590D 28" monitor - A 4K monitor for only $559? Review of the new Samsung U28D590D 28" monitor - A 4K monitor for only $559? As many of you know, I upgraded my editing workstation to the new Mac Pro (the cylinder) about 6 months ago. I was really excited to get the new computer with a screaming fast processor, USB 3.0 and Thunderbolt ports and so much more. When ordering the new computer, I had the option of adding a 4K monitor to get super sharp resolution, but the cost was CRAZY expensive. Apple was, and still is, offering a Sharp 32" 4K display for a whopping $3595.00! That is more than most computers cost these days. 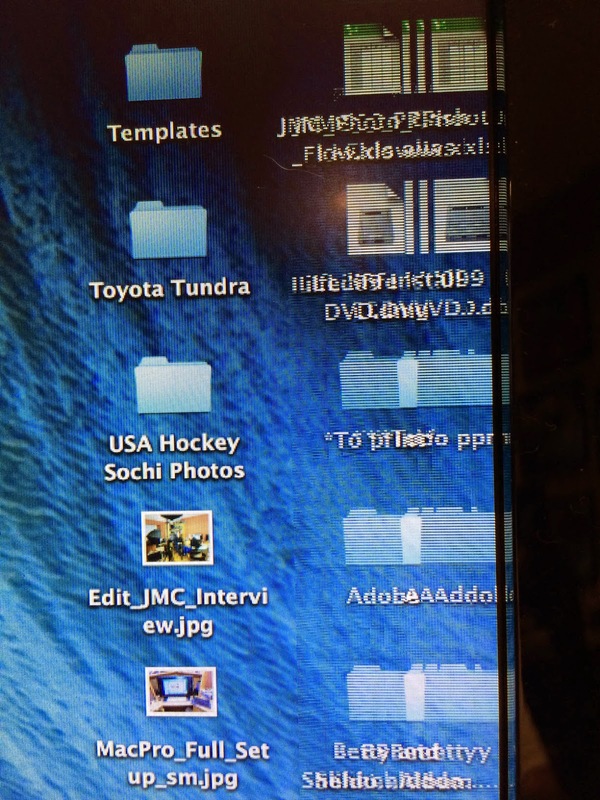 Needless to say, I chose to stay with my Apple 30" Cinema Display as my primary monitor. Then a couple of months ago I saw a new bulletin about a new Samsung 28" 4K monitor for only $700 (which is now only $559 after rebate!). And my skeptical brain thought "Can this really be any good?" I figured for this amount of money, I would give it a try and let you all know my findings. Yep, I will be your guinea pig. I ordered the Samsung U28D590D 28" UHD LED TN Monitor from B&H Photo and had it shipped to me. The first thing I noticed, when the box arrived, was how small and light the box was. Remember, I was used to my older Apple 30" monitor which was big and heavy. I was a little nervous looking at the box, because I like a really large monitor for photo editing, and was concerned that this might not meet my needs. Upon opening the box and putting the display up against the Apple 30" monitor, I was happy to see that it was not much different in screen real estate. And, knowing that this would be much higher resolution, I figured this would make up for the loss of 2" diagonally. Then it was time to disconnect the old display and connect the Samsung. The new monitor has two options for video connection. I had a choice of HDMI or DisplayPort. I decided to connect the monitor to the new Mac using HDMI, and this was a good choice (more about that to come). I love having one small cable connected to the new Mac, versus all the adaptors I needed for the Apple 30" Cinema Display. I plugged in the power cord, turned it on and immediately noticed that the Mac OS looked amazing! All the text was super crisp, much like I am used to on my MacBook Pro with the Retina display. This looked to me like a 28" Retina display. Wow! The first thing I did was to go to the Mac Display Preferences and change the resolution to give me more working space. Since the monitor is 3840 x 2160, even small text is very readable. The next step was to open some photos and see how they looked on the Samsung 4K display. Even the smallest of details showed amazingly well, but I questioned the color calibration. Since I already had the Datacolor Spyder4Elite connected to my Mac, all I had to do was start a new calibration. Even before starting the calibration, I noticed that the monitored seemed to be too bright. This was confirmed when I started the calibration, and I had to turn down the brightness to a level of 62 before calibration could be properly performed. Changing the brightness (along with all the other settings) is done with one small joystick button on the lower right hand side on the back of the display. I found it very easy to figure out without having to read any documentation. After a couple of minutes I was fully up and running with this new display. And for the last couple of weeks I have been using this daily and I am really liking it. My photos show excellent detail, the colors are vibrant and the color calibration seems to be holding nicely. At this point, you might be wondering if there are any drawbacks to the Samsung U28D590D. And there are a couple. The refresh rate when using HDMI is only 30Hz, which means that fast moving graphics do not refresh as fast as the Apple monitor. This is important to gamers and possibly to video editors, but not a serious drawback to still photographers. To be fair, I have not noticed any annoying slow-down in my day-to-day workflow, but wish that I had a faster refresh rate nonetheless. After reading about this monitor and asking people at Samsung, I found that the DisplayPort connection supports a 60Hz refresh, therefore twice as fast as the HDMI connection. But I also saw rumblings on the Internet that the Mac Pro would not support this mode on this monitor. I purchased a DisplayPort to MiniDisplayPort adaptor and connected it to see for myself. Everything came up great, except for the far right hand side of the display where there was obvious problems. You can see this in the image below. UPDATE: After installing MacOS X Yosemite (v10) the DisplayPort now works perfectly! I am hoping that Apple can fix this problem with a firmware tweak or change to the Mac OS, but this could be a hardware issue. Another thing that I noticed with the SamSung monitor is the change in brightness which varies with the viewing angle. With this 4K monitor, it is really important to angle the middle of the screen (which can be tilted 15 degrees) directly at your face. Even though my Apple monitor showed minor changes depending on the viewing angle, it is more pronounced with the Samsung. Now that I have covered some of the drawbacks of the 4K monitor, let me tell you some more advantages of this display. The older Apple display used a CCFL backlighting which drew a lot of power and created a lot of heat. It was not uncommon for my home office to be 10 degrees warmer than the rest of the house, with two of the Apple 30" Cinema displays turned on. This was a benefit in the winter, but very much unwanted in the summer! The Samsung U28D590D uses LED backlighting and it runs noticeably cooler than the older Apple monitor. Not only is it cooler, but it draw much less power than my older display. The Apple 30" monitor would use 150W in normal operation and 3W in standby, whereas the Samsung 4K display uses 32W (a fifth the power) in normal operation and .3W (a tenth the power) in standby. Overall, I am very happy with the Samsung U28D590D 28" UHD LED TN Monitor (other than the crazy long name) and very happy to have it as my primary display. There are way more advantages than drawbacks, and the 28 inches of overall clarity trumps everything else. Would I have spent $3700 for this upgrade? No way. But for $559, I think that this is an amazing deal. Now my big question is...when will they come out with a 37" 4K monitor for a similar price point? Because I want to go even bigger!!! I guess it's so cheap because of the TN panel. Honestly, I'm surprised TN can be used for professional photo editing. Jeff, I love your photos and blog. I just purchased a MacPro and the Samsung monitor you wrote about. Thanks for all your advice.... I'm very pleased with everything! Hi, interesting post. I have been pondering this issue,so thanks for posting. I will visit your blog again. Hi, can i use displayport and 30hz? My graphics card dose not support 4k 60hz. Thank You! Asavei - not sure. I am using Displayport at 60hz. If I have a chance, I will try this when I get to my other office. Great post Jeff, one question for you... what % of Adobe RGB does it have, I cant find out that little gem of information anywhere!! Michael - I have since switched to the 32" Samsung Professional 4K monitor. I will try to do a comparison blog very soon. Excellent Jeff, I am looking at going to that one too, butwith the Australia tax, its over AU$2,200 here!! At $500 dollars this monitor is decidedly cheap for a good sized 4K Computer/gaming screen on the market right now. Other brands can cost $1000 dollars or more and deliver picture quality that is basically identical.